We've bought and sold somewhere in the neighborhood of 2,500 vehicles at wholesale car auctions over the years. 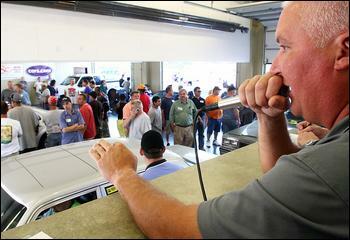 And while you can't get into a Dealer-Only auction, you can go to one of your local open-to-the-public car auctions. Anyone can go ... no license required. These can be bank and credit union repos, government agency vehicles, seized and police vehicles, personally owned "By-Owner" cars, and so forth. And like anything in life, there's both good and bad in the mix, with plenty of opportunity to "cherry pick". The fact is, the prices can indeed be excellent, and frankly, it's unlikely you'll ever get a better buy anywhere else. So, why are people going to these car auctions? Well, first and foremost, there's no doubt that the biggest benefit is "price". Purchasing vehicles at 40% to 60% below retail is fairly common, leaving extra dollars for other needs. This is particularly important right now given the very poor current economic situation. No more car Dealers to contend with. Most people find the process of buying a car about as much fun as root canal. But this way, there's no more stressful negotiating and haggling. Auction buyers have taken over full pricing control. 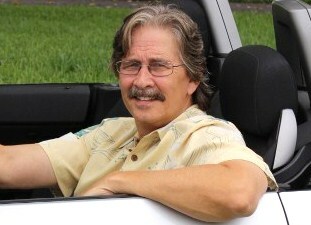 Many people have discovered that they can resell these vehicles on their own to make some nice extra income. Because of the prices paid, people can resell them at very favorable prices. This becomes a win/win scenario, a very good outcome for both parties. First, they think the vehicles must be all junk. 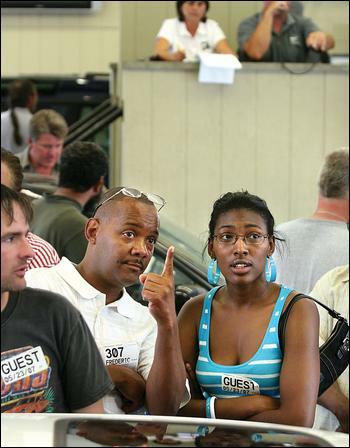 Second, public car auctions are notoriously difficult to locate. So let's address each of these issues. This simply isn't the case. Is there junk there? Absolutely. But are there really nice vehicles as well. Absolutely. We've purchased many low-mileage repos, for example, that were in excellent condition. Most of these vehicles had less than 10,000 miles on them. These cars were simply originally purchased by someone who just didn't pay, usually due to some unforeseen personal financial situation. Two to ten months later they were repossessed ... and subsequently made some "smart" auction buyers VERY happy. In fact, one of the effects of the previous financial crisis and the current overall economic downturn has been a huge increase in repossessed vehicles. Last year, 1.6 million vehicles were repossessed by banks, an all-time record ... and many of these were late-model, low mileage vehicles. It's simply a sign of the times. There are also many government agency vehicles being turned over every 2 or 3 years. Very recently I came across a whole group of them all driven less than 6,000 miles a year. And government agencies have a reputation for being very well maintained (they don't want lawsuits). And who do the IRS and State governments seize cars from for back taxes? Well, they tend to be people who have nice cars in the driveway. Their resources are better used going after people with assets who owe them a lot rather than those who are small potatoes. There's a similar situation for cars seized by the police. Although some people don't like the idea of driving around in a drug dealers car, the fact is that many of them drive very nice vehicles. Okay, so hopefully the point has been made about there being good cars as well as bad. And here's something else that anyone can do. You don't have to be an "expert". 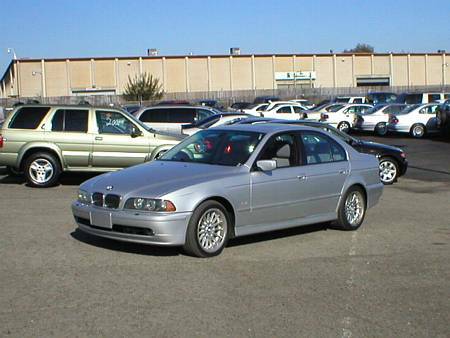 Many of these cars are sold "as is" (although some auctions provide free 90-day warranties). This is often why many people are afraid of them. You usually can't test drive them either. But you can start and inspect them prior to the bidding ... and this is very important. However, if you're buying a later model vehicle, it will come with whatever Manufacturer's Warranty still remains on the vehicle. But whether a vehicle is under warranty or not, you still should check it out. The following will take about 10 minutes and is actually no different than what you should do anyway ... even when buying from a Car Dealer or "By-Owner" seller. We've done this to literally thousands of cars and they have always served us very well in avoiding the "junk cars". If a car doesn't pass these simple tests with flying colors, we simply move on. Start the engine and listen for any unusual sounds or knocking. Make sure the exhaust is clean. Check the air conditioning, heat and all the power options (windows, seats, sunroof, etc.). Then, with your foot on the brake, put the car in drive and reverse several times. Make sure the car doesn't lunge at all or make a clunking sound when you shift into another gear. Check under the seats, floor mats and rugs to look for dampness (do this in the trunk as well). Pull out the oil stick. Check the oil for white bubbles (water present) and feel for grainy fragments. Also pass on a car where the oil is thick to the point of pasty. We'll also sometimes pass on a vehicle simply if the oil is very, very dirty (unless everything else is super great) because it is likely an indication that the owner didn't maintain it. Also, do the same for the transmission fluid. It should not be dark brown or have a rancid smell. Check for leaking spots and stains under the car. Check the tailpipe for a gummy soot. Check the exterior for rust, paint bubbles (possibly future rust), welding marks (particularly in the door frames, trunk and engine area), paint that doesn't quite match, gritty surfaces, paint overspray on bumpers and lights, and body panels out of alignment. Also, check the engine compartment for new bolts or bolts which don't match in color. And check the lights and turn signals. The good thing is that you don't have to be a mechanic or an "expert" to do these things (although you're welcome to bring someone like that with you if you want). Do this a couple times to your car and your friends cars and you'll see that spotting the important problems definitely isn't brain surgery. When we're getting an outstanding price on a car, we also don't sweat the "small stuff". After buying a car, if it turns out to need brake pads, an alignment, maybe a couple of new tires and so forth, we're fine with that. We budget $200 to $500 per car for minor fixups ... for every car. It's well worth it because of the low purchase price. I'd also strongly recommend getting the CarFax Or AutoCheck (we prefer Autocheck because it's cheaper and just as good) history report prior to the auction on the cars you're interested in. Cars are announced days before the auction so there's plenty of time to do this. Many auctions supply these free. But if they don't, it's a small price to pay given your likely purchase price. But What's The "Worst Case" Scenario? Well, maybe fixing it still makes financial sense because of the price you paid. But maybe you decide you don't want to. The worst case scenario is that you bring it back to be resold at the next auction. Perhaps you lose a little money, but it's better than the expense of fixing it. But who knows? You could sell it at a profit as well. We've actually been fortunate like this. So, the overall point is that there are good cars to be had, good methods for identifying those cars, and not a lot of downside if a mistake happens. And in terms of the "online" auctions, almost all of these vehicles have been pre-inspected and reconditioned. Request a copy of these documents prior to participating and verify with the selling authority that they will stand behind it. Also Be A Smart And Informed Buyer. Here's the key to success: Know prices (a lot of bidders are clueless) and be patient. Walk away from the good deal, but nail the great ones. The average of these trade-in prices can then be your target to beat. You should actually do a lot better. If the bidding gets too high on a particular vehicle, just walk away and wait for the next one. This is how you'll get your vehicle at way below even wholesale prices. What To Expect At An Auction? I found this video to be very informative. It was done by a public auction house in Virginia, but is pretty typical of most auctions. The Second Problem ... "Where The Heck Are They, Anyway?" Yes, public car auctions are hard to find ... and it's a big problem. Many of them have nothing to do with the internet so you just won't find them on the search engines. Others aren't aware of search engine listing tactics and are buried who knows where in the results. Some make announcements in local newspapers, but if you don't know which paper or when because you don't know it even exists, it's a problem. Some even seem to be word of mouth. I happen to use an online data base to locate them (four of them actually). Without the data base, I simply never would have learned about most of these auctions. How Does Having Access To A Good Data Base Of Auction Listings Fit In? Auction websites are a data base of auctions nationwide, listings of both those online and those on a physical lot. You enter your state or your zip code and you're off and running ... so it doesn't matter if you are in Ohio, Texas, Tennessee, Virginia, New York, California or wherever. I'm a member at four different listings sites (and have checked out many others). Two are, well, "okay", at best. One was a big disappointment and the most recent one I joined is clearly superior ($39.95 for a 2-year membership, $49.95 lifetime ... plus a bunch of car-buying bonus material). It doesn't B.S. about "90% savings" like so many other auction sites do. That is unrealistic. With occasional exceptions, typical auction savings are in the 40% - 60% range. It has a much more user friendly design, faster to find things, many more listings and detailed contact information about individual auctions. Nationwide, they have over 4,000 listings and add new ones regularly. They've really done the grunt work. There's an extensive, and I mean "extensive", Auction Tutorial which explains just what takes place, how to bid, how to know the condition of the vehicle, and much more. This is perfect for people new to this and I've just never seen something like it anywhere else. There's actually "real" customer support. I purposely tested it with a question that couldn't be answered with a canned response. It said they would respond within 24 hours. Three hours later I received an informed and friendly response from a "real person" ... he actually encouraged me to get back to him with any other questions. There's also auctions for just about anything else ... computers, electronics, sports memorabilia, jewelry, furniture, real estate ... you name it and there seems to be auctions for it. Why not save as much money as we can during the current economic downturn? In my opinion, this is a nice money-saving feature even if you never buy a car. I've also encouraged both my wife and teenage son to use it for some of their non-car related purchases. And who knows? With the pickup in the housing market, maybe finding a house to flip makes sense as well. And when you get there, make sure you click on the FAQs (Frequently Asked Questions) in the upper right as well as the Testimonials to get a better idea of what their service is about. Wishing you happy car hunting! 'New' Car Buyers: The Ultimate 'New Car' Negotiation Secret - A MUST read for anyone even thing about buying a new car. © copyright 2009 - 2018, Josh Rosenberg. All Rights Reserved.